While the first known reference to Lafite dates back to 1234 with a certain Gombaud of Lafite, abbot of the Monastery of Vertheuil north of Pauillac, Lafite as the existence of Medieval property is documented from the fourteenth century. 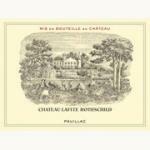 The name Lafite comes from "la hite" Gascon language voice that means "the hill". Probably by that time there were vineyards on the property, but it was thanks to insurance, in the seventeenth century, the vineyard was organized, consolidating a reputation as a great wine estate Lafite. 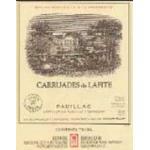 Jacques de Segur began Lafite vineyard planting around 1670 and early next decade. In 1695, the son and heir of Jacques de Segur he married the heiress of Château Latour, who gave birth to Nicolas-Alexandre de Segur. 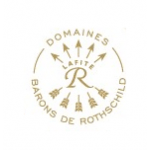 So the two properties joined Lafite and Latour manor, kicking off a common wine history. Wine dark layer of very high intensity. The nose is intense, delicate, subtle and complex. Palate accurate and clear at first which then acquires breadth and volume resulting sensations round. Very powerful, very persistent and density, very elegant. TASTING NOTES: - View: Very dark. - Nose: discreet, with primary notes and an evolution rather broad and dense. 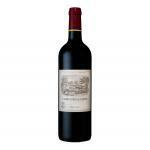 - Mouth: very powerful palate, good body and beautiful ending marked by tannins and well integrated wood notes.